DAKOTA brand Water resistant, black croc grain, genuine leather Padded Watch Band. 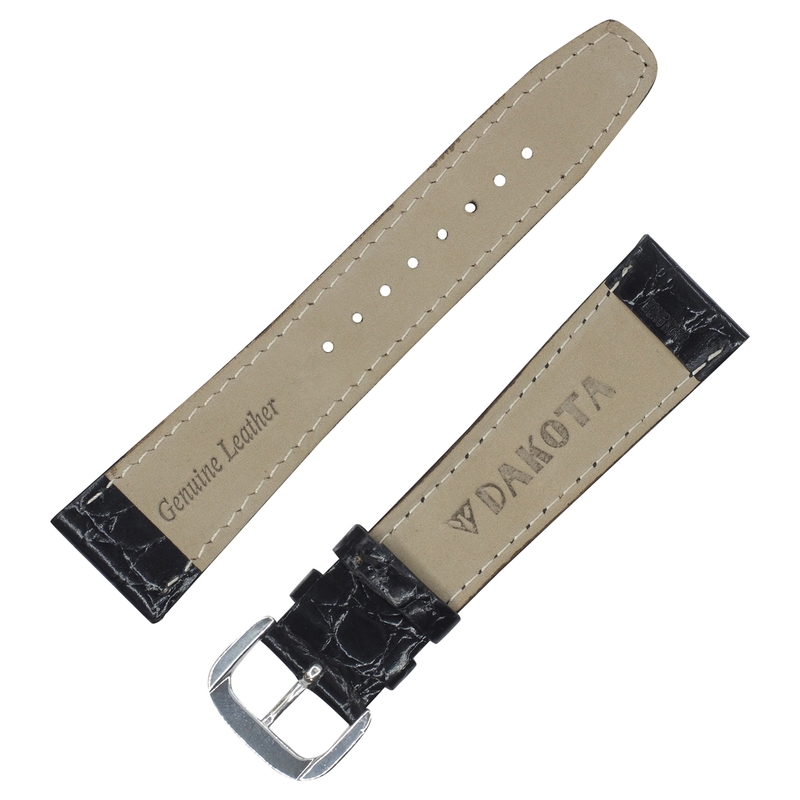 Fine DAKOTA branded aluminum buckle stays strong and light for years of wear. Double loop (keeper) design holds band secure around the wrist. With over 70 years of experience in the watch industry with a specialization in leather watch bands DAKOTA offers the highest quality leathers and hardware. DAKOTA is the superior long lasting, comfortable replacement watchband for all types of watch brands including Dakota, Fossil, Tissot, Casio, Citizen, Bulivia, Timex, Bertucci etc. 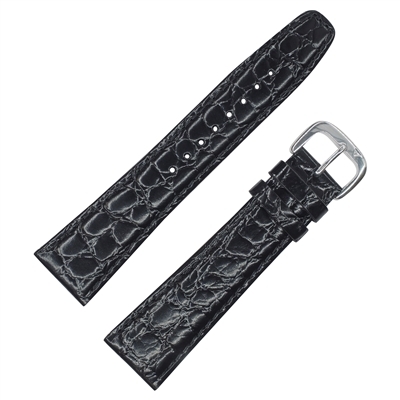 Fits most wrists: Top half length (including buckle) is 3.80” and bottom half length is 4.5”. Remember to take into account the space required for the watch head when sizing wrist. The watch will add another 1-2” to the length of this product when installed. • Ships with 2 stainless steel spring pins in selected size.